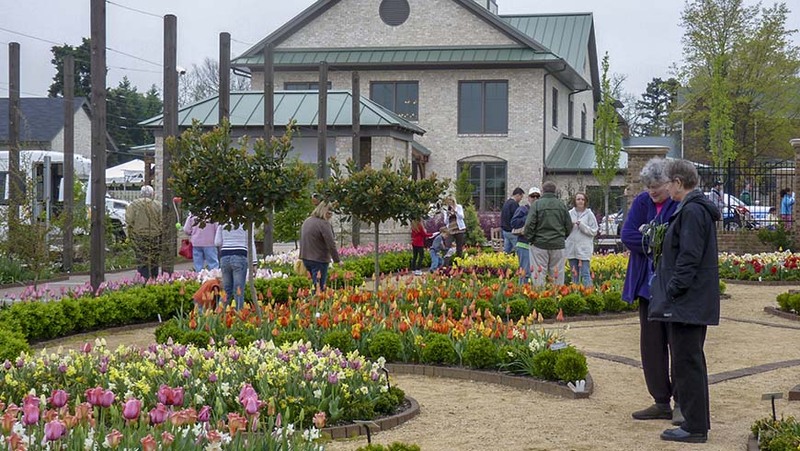 Enjoy a spring day at the Paul J. Ciener Botanic Garden in Kernersville. Adrienne Roethling, curator, will guide us through the gardens during our visit. This garden is one that keeps expanding and is a delight to visit year-round with its wide variety of bulbs, shrubs, and trees. Designs include raised beds for vegetables, a sidewalk border that glows even in the winter, and sample gardens the public can adapt, as well as a parking lot that is anything but boring, hot pavement! Join us for this joyful experience and then walk to a café in an old home or to a bistro for lunch, or bring your own. $15.00 for members, $20.00 for nonmembers. Advance registration is required. Please register online using our registration e-store. Registration is limited to 20 people and is considered complete when payment is received. Program cancellations can be made up to two weeks prior to the program's start date. No refunds will be made after this time. A 15% cancellation fee applies. The tour departs from the JC Raulston Arboretum at 4415 Beryl Road. Please call (919) 513-7005 for more information about this tour.